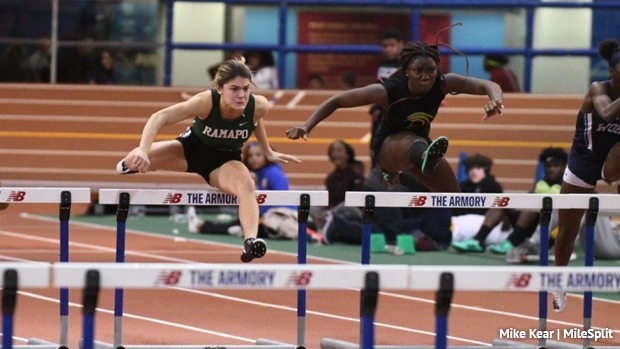 Here are some quick notes on New Jersey's top talent competing at New Balance Nationals Indoor this weekend. We'll pretty much be focused on the Championship divisions especially those in seeded sections in range of All-American status, if you'd like to see everyone who's attending from NJ check out the final heat sheets which include Emerging Elite. If we, "were sleeping", didn't mention your name and you do something special this weekend we'll be excited to get the word out in the recap! Good luck everyone. At the 2018 New Balance Nationals Indoor meet New Jersey had 30 All-Americans and three total Champions. Athing Mu (800m, returning), Zyra Thomas (Shot Put, graduated), and the Ridge HS girls (4x800m, Meghan Convery, Olivia Cicchetti, Morgan Lyons, Kaitlyn Van Baalen - Cicchetti and Lyons return) all won titles.